Despite the relatively small size of the current laser distance measurers on the market, sometimes they can be hard to handle. In certain situations it can be awkward to hit the buttons. A new pencil-like design from Hilti might just remedy some of those ergonomic issues when they arise. 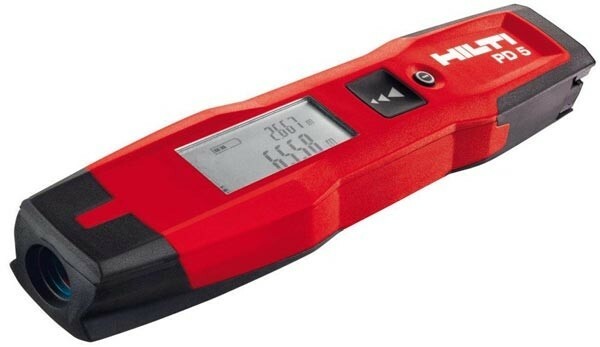 Hilti has completely moved away from the typical square block with their PD5 laser distance measurer and has instead come up with a long narrow design. This slender form should make the tool easier to handle and use during those awkward situations, but to come up with such a small size, the measurer had to sacrifice every other feature. The PD5 can only measure, but that is just fine with me, because that is all I need from it. 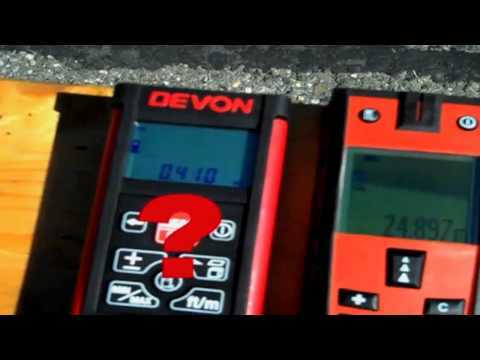 A two-line backlit display on the PD5 allows users to see the current measurement and the previous measurement. Offering a max measuring distance up to 230-feet at an accuracy of 1/16 of an inch, the PD5 should be enough for most measuring needs. The PD5 is slated to hit store shelves in early 2012, but the pricing has not yet been announced. A direct price conversion from Europe has the PD5 at around $160 US, but often I have found that manufacturers do not use direct price conversions. The video shows the PD5 in use. You can skip to 1:42 to get to the action.